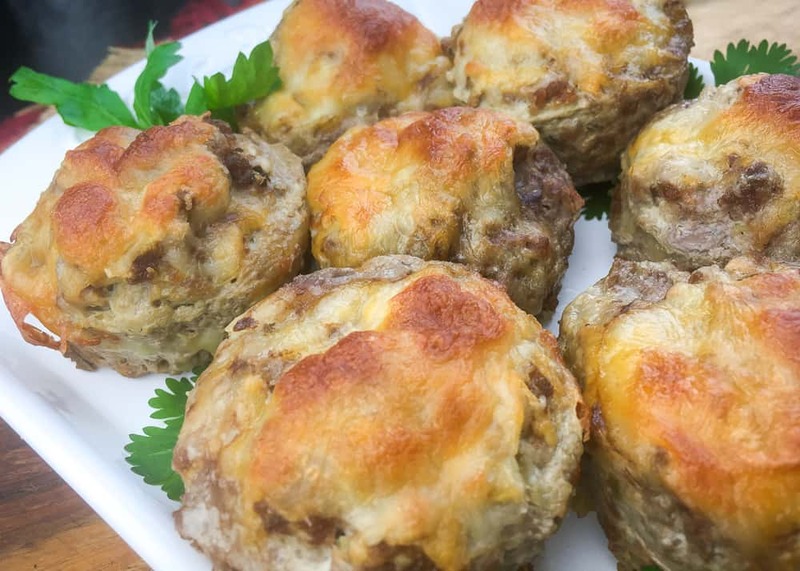 These easy keto meatloaf muffins will become a hit for your entire family. The simple twist on this classic traditional dish makes prep and clean up easy and also makes them super portable to take for lunch or playdates. The awesome thing about this keto recipe is how customizable it is. Swap out the meat, seasons and cheeses to make this dish over and over again without feeling like you’re eating the same thing all the while. You could even make different variations at the same time since you’re making individual portions. This is great for family members with different tastes or dietary needs. 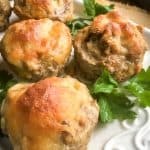 If you use fresh seasonings and ground beef like this recipe calls for, you may notice a bit of excess moisture at the top of your muffins after baking. Simply drain this moisture off over your sink before adding your cheese as described in the recipe instructions. Fresh ingredients help to flavor your ground meat especially beef and turkey which are dry and flavorless without these added ingredients. Pair your meatloaf muffins with our Bacon Broccoli Salad, Keto Mug Bread or Pan-Roasted Brussels Sprouts. 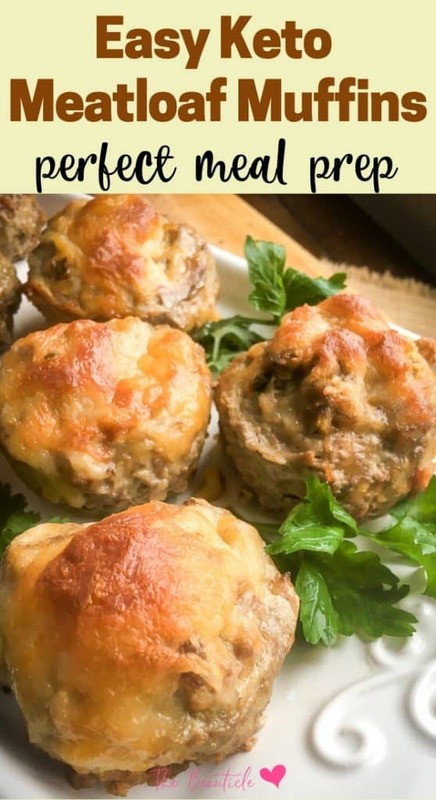 A twist on your classic meatloaf recipe, these meatloaf muffins are perfect for keto meal prep if you can get them to last long in your house! Remove from oven and carefully drain any excess moisture off the top of each muffin by gently tipping the tray over your sink. Wipe excess liquid off top of muffin tin and top each muffin with the shredded cheese. Broil on high for 2 minutes, or until cheese is melted and starts to turn golden brown. Remove from oven and let cool for several minutes before removing muffins from tin. Serve immediately or freeze for later use. Enjoy!